We were greeted by gridlock traffic shortly after we got on the Mass Pike. Welcome to Massachusetts. 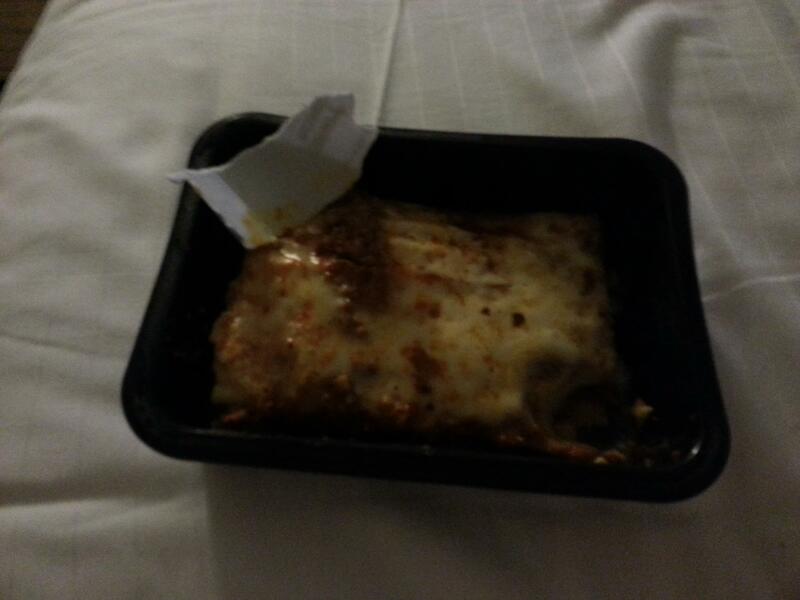 That image is a world renowned dish of frozen lasagna using the side of a coffee cup as a shovel. We’re all about class here at Hawk Host. Now the city of Boston itself, in a word, is beautiful. A city rich with culture, history, and successful sports teams. The overly aggressive drivers left something to be desired, but hey, you get used to that after a few times on the road. I was excited to be there, and was really looking forward to our first day at HostingCon. We woke up bright and early Monday, quite chipper and ready to go see what this HostingCon thing was all about. We had a vague idea of what we had in store for us, but in reality we had no clue what we were about to embark on. After making the tragic mistake of driving to the convention, at 8:30 AM on Monday morning in Boston traffic, I personally was a bit frazzled walking into the Hynes Convention Center. I’m not used to city driving, and I’m especially not used to Boston city driving. Needless to say, from there on we relied on Uber cabs to get us around (more on this later!). 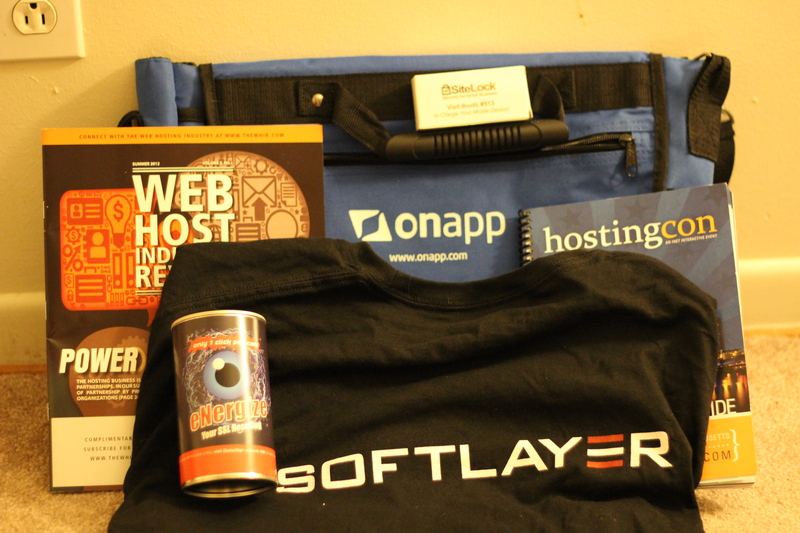 After arriving at the convention, we checked in and received a pretty awesome welcome bag sponsored by OnApp, with a number of ‘goodies’ inside by a bunch of event sponsors. It included a SoftLayer t-shirt, some promos and coupons, a HostingCon pamphlet with all the event info we needed, and much more that I’m likely forgetting. After walking upstairs, we were greeted by a CloudFlare (thanks guys!) sponsored breakfast, with all the coffee, tea, breakfast, and baked goods one could eat. That was a good thing, as to this point we hadn’t eaten much and this was a much needed refresher for the long day to come. We attended a few enlightening seminars with some industry icons and luminaries, and shortly after decided it was time to check out the renowned Boston pubs and beer. Right across the street from the convention center was a row of restaurants, pubs, and shops so we settled on one that looked particularly appealing. While there we met up with another shared hosting provider, and a good friend of ours, Tyler from Stablehost and sat down for lunch with him. The rest of the afternoon was pretty standard affair, and we went back to the hotel for a little R&R before the nights main event, a private party at the Royale Boston night club sponsored by SoftLayer, cPanel, and Comcure. Boy, were we in for a treat. The club was rented out exclusively for the party, and the sponsors had arranged an entertaining evening. 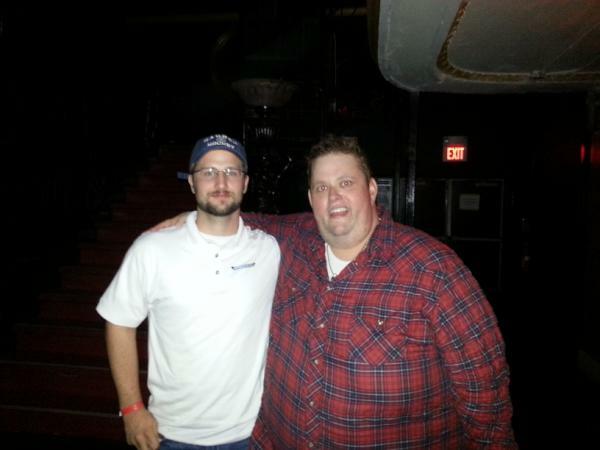 They brought in comedian Ralphie May, who I personally have been a fan of since I was in my teenage years. He was an absolute hit, and I don’t think I’m alone when I say he had me bent over in laughter for most of his set. Now if anyone zooms in on the above photo, you’ll see Ralphie has made quite the face there. It’s a face only a mother could love. That said, we’ve cropped out that smile of his and that photo has been making its rounds through our company at the most appropriate (and sometimes not so appropriate) times. I’m looking at you, Cody. Having learned from our previous mistakes, we Uber’d (that’s a thing, right?) into the city for day two of the convention. After enjoying some much needed coffee, once again compliments of CloudFlare, we went out to the exhibition hall and started making the rounds to meet and greet. I sit here a week later trying to rack my brain and remember some of the more awesome booths we saw, but two that come to mind are BetterLinux for their display and ping pong table, and SiteLock for their blackjack promotion and poker tables. If anyone reading can chime in and add some more, please feel free to do so in the comments and I’ll edit this list. I must say, and perhaps this is my convention inexperience, I don’t think I’ve ever handed out or received so many business cards in such a short period of time. As I sit here at my desk staring at the stack of cards, I realize just how many hands I shook and how many new faces I met. 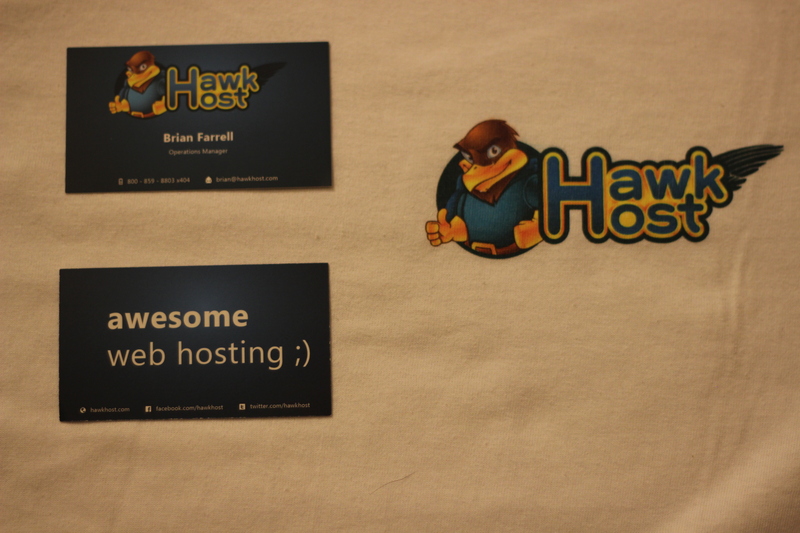 By the way, we had some new revisions made to our cards prior to the convention and we received a lot of compliments. A *huge* thanks goes out to our friend Nuri at Thinglet for designing our newest cards. What do you guys think? As a result of walking the exhibition hall for hours and attending some more seminars, we were ready to get out and have some fun. Thankfully, our backup software provider R1Soft (soon to be known as Idera!) was throwing a party right across the street, so it just made sense to head right on over. Once again we were left nothing but impressed. The Idera/R1Soft staff we met were nothing but polite, the prize giveaways were awesome (sadly none of our staff won anything), and they had an open bar/free food for everyone. After another successful day, we were confident day 3 was going to be the best yet. Phew, where do I begin. Wednesday was by far our busiest day, chalk full of meetings and last minute arrangements to officially meet other industry pioneers who we were itching to sit down and chat with. We started off bright and early at a meeting with the guys behind 6Scan, a new feature we’re really excited to start rolling out to our shared customers in the coming weeks (hint hint!). After that, we had lunch with a highly respected colleague of ours, and overall awesome guy, from Softlayer. Later that afternoon was a brief sitdown with an executive of another shared hosting company, one many would consider our competitor. Instead, we saw it as an opportunity to bounce ideas off each other and get an idea of where each was headed. Suffice it to say, we were thoroughly impressed with what we heard and hope they took the same thing away from us. We ended our final hour inside the convention center with some of the guys (Orien and Paul, to be specific) from WebHostingTalk, wrapping up a successful (albeit busy) past few days and making some final plans for later that evening. We decided to cut out a bit early and have a beer (or three) to celebrate a successful conference. It was nice to just sit down, enjoy a cold beer and soak up a bit of the true Irish pub feeling only a Boston bar can provide. That relaxation was short lived, as that final evening Giglinx was throwing a party on the 52nd floor of the Prudential Tower (or, if you’re from Boston, The Pru). Fun fact, The Pru is the second tallest building in Boston, and is directly connected to the Hynes Convention Center where HostingCon was held. Originally, or at least we’re told, the party was supposed to be held on the roof and we’d be outside overlooking the gorgeous Boston skyline. As a photography nerd, this made me really excited at the prospect of getting some shots of the entire city and generally enjoying the scenery. Unfortunately lady luck was not on our side, and mother nature decided to bring in quite the storm a few hours before the party started. In fact, there were even flash flood warnings for the Boston area, and rumor has it some floors of the tower even took on water. As it were we had to “settle” for the 50th floor, which still provided an unprecedented view of the city, or at least when you could see through the clouds. In addition to being a photography nerd, I’m also a diehard baseball fan. Right in our line of site was the home of the Red Sox, Fenway Park. 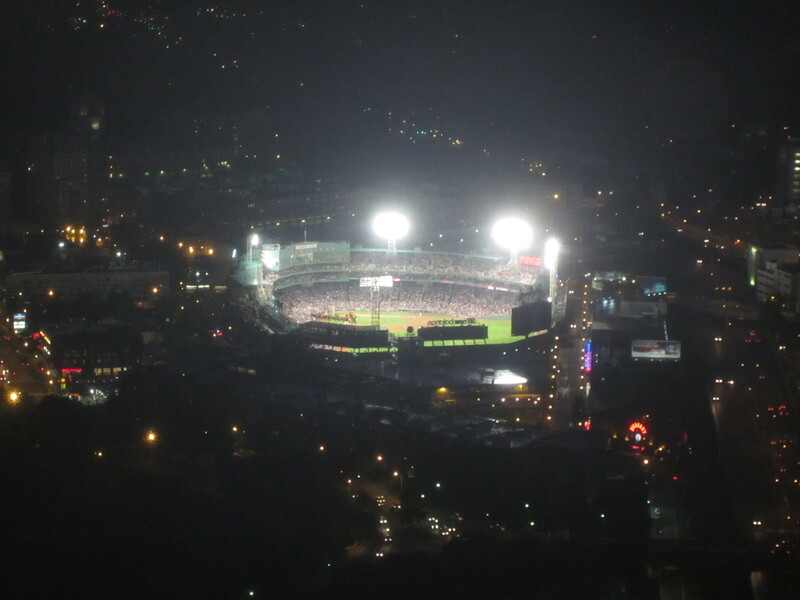 Fenway is one of the most historic parks in all of baseball, home of legends like the Green Monster, Ted Williams, and (while Boston fans won’t like this), the Curse of the Bambino. I’m sure I’m one of many to say it, but Giglinx knows how to throw a party. There were free drinks, delicious pizzas, pastas, baked potatoes, and did I mention free drinks? It was the last night afterall, it was time to unwind and have a little fun! We met up with our friends from Stablehost and WHT again and we all sat around a table enjoying good food, good company, and exchanging stories about the events of the past few days. Its been a long while since I’ve been surrounded by so many like minded people and let me tell you, it was nice to just sit back and relax with some fellow hackers, nerds, and hosting enthusiasts. As we left Boston and I thought about how I wanted to recap the experience on our blog, I figured I’d break it down into an oversimplified “Things I Liked” and “Things I Didn’t Like” list. This list is entirely incomplete, as there were simply too many positives over those 72 hours for me to fit into a single blog post. So as a summary, I’ll start with the negative and end with the positives. Traffic – Never, ever, again will I make the mistake of taking my personal vehicle into Boston, whether or not I’m behind the wheel. Bostonians drive like lunatics, the traffic is indescribable, and the roads are more difficult to decipher than an Ikea manual. Even our Uber drivers admitted they had a difficult time still, and they’ve been driving there professionally for years. Too Short! – Yes I was exhausted after three days, no denying it. But I’ll tell you what, extend that convention another 2 days to an entire week and I’d be happier than a clam (or whatever idiom you want to use). At times I almost felt rushed with all the people I wanted to meet, speeches I wanted to see, and parties I wanted to attend. I’m not at all convinced the ladies and gents at iNet couldn’t find some sponsors to swing that. Late Night Food – Here in Buffalo, you can get delivery until almost 4AM and find restaurants open until 1AM or later. We stayed all of 2 miles outside the convention center and couldn’t get delivery, or find a restaurant, much past 11PM. Perhaps it was where we stayed, but from a city like Boston, I expect more! 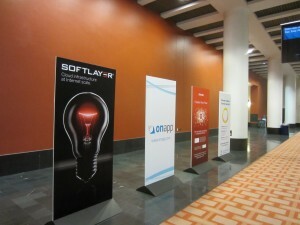 Exhibition Hall Layout – All right, so admittedly this is more of a “group” complaint than my own. It seems a number of people we spoke to weren’t thrilled by the multi-room exhibition hall, separated by a hallway and no clear signage/labeling about the second room. Initially, it even got us a bit confused, as we couldn’t find some of the booths for companies we absolutely knew we were there. Perhaps this is grasping at straws though, since there wasn’t much else to complain about. Traffic – Did I mention how much I despised driving in Boston? Just reiterating that in case it was lost previously. Uber -Uber is awesome. If you ever find yourself in a city they offer it, do yourself a favor and try it at least once (it’s only $15 at minimum). The drivers are remarkably professional, efficient, friendly, and happy to talk and tell you all about their city. The Uber app keeps you posted on ETA of your driver, provides a safe and easy way to complete payment, and shows a GPS enabled map of where you are and where your driver is. Check out their website for the full story, but you absolutely need to use this service if you can. Bostonians – While these people may drive like mad men and speak with a funny accent (joking! ), they’re some of the most polite and outstanding people I’ve met. Whether it be the barkeeps, random folks on the street, or people at the convention who live in the area, they all were class A individuals. I’ve never felt more safe in a big city than I have in Boston. Event Sponsors / Coordinators – A sincere hats off to all of you, regardless of your level of involvement. Every little detail was accounted for, the convention (from what I saw) went off without a hitch, you lined up perfect entertainment, and provided highly relevant presentations. One could stay busy the entire conference and still need more time. Bravo. The People – In my entire time there, guess how many people I came across who I either didn’t like, or weren’t polite and welcoming? Zero. Regardless of if we’re all there for the same thing or in the same industry, every single person from every single company I met was cordial, inviting, and happy to sit down for a conversation. I don’t have strong enough writing skills to convey how refreshing that is for me. You Sold Us – I don’t mean this in the capitalistic sense, but that may be your intention (and I don’t blame you). 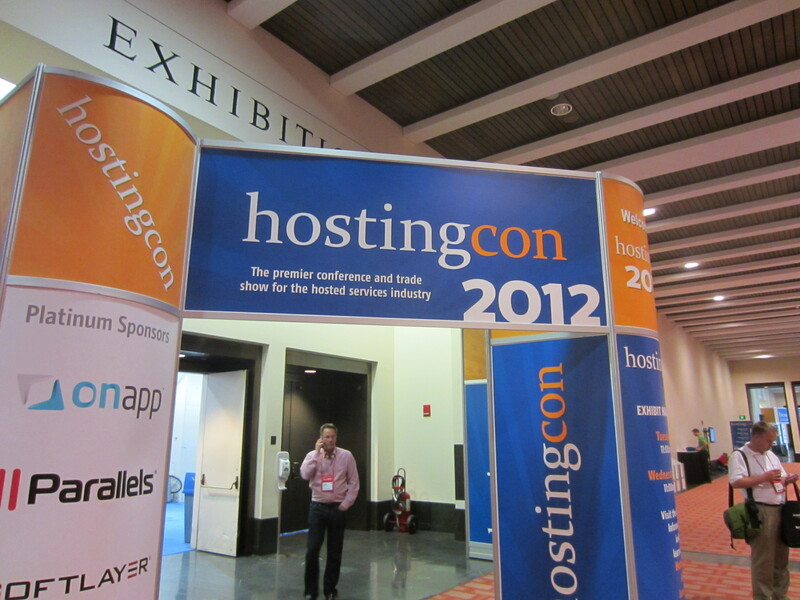 Within hours of being there, we were talking to our CEO about booking for HostingCon 2013 in Austin. That includes bringing out even more staff. I personally cannot wait to reconnect with all the folks I met, and establish new relationships with the ones I didn’t. 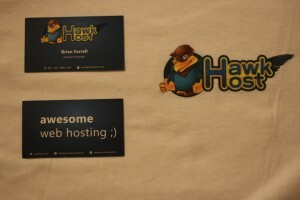 This entry was posted in General and tagged hosting, hostingcon, softlayer, webhosting. Bookmark the permalink. Glad to hear you enjoyed the party Monday night. All of us at Comcure really appreciate hearing that everyone had a good time. Should’ve hit up the Pizza shop right around the corner from the convention center. Delicious and only $5.00! Really interesting post- it was a great event. Are you there this year?